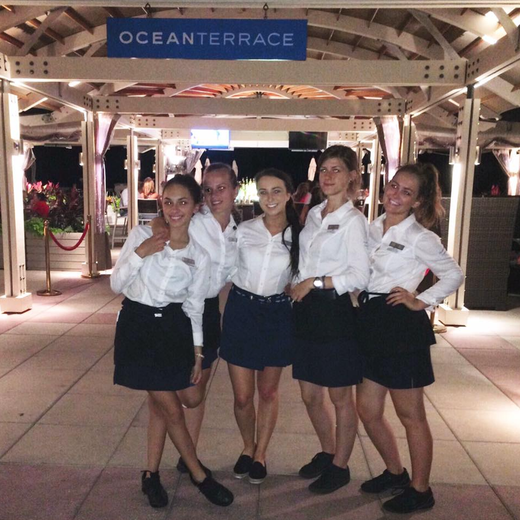 Jessica had an unforgettable experience on her J1 working in Cape Cod at Ocean Edge Resort & Golf Club. 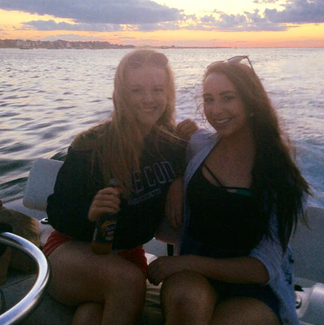 We asked her to tell us all about her amazing summer and why she chose Cape Cod for her J1 Work and Travel Programme. Like most college students in Ireland, the summer after I turned 21 was the summer I knew I had to spend a summer in America on a J1 Work and Travel Visa. Deciding I wanted to take part in the programme was easy, I just had to choose where to have the perfect J1 adventure. I started planning with two of my college classmates, Jenna and Enya and we all agreed that we were not looking for your ‘typical’ J1 summer in a big city, but rather an adventure that we would never get a chance to go on again. After a while of online job searching we came across an opportunity that stood out from the rest – seasonal positions in Ocean Edge Resort & Golf Club in Cape Cod, Massachusetts. After a successful interview, I was offered a position as a Cocktail Waitress on the outdoor terrace restaurant. My summer was officially sorted. As soon as I arrived on the Cape I quickly realised why the population doubles in the summer period. Every town has at least 5 beaches to choose from and you’re always a stone’s throw away from the water. I usually went to Crosby Landing beach during the day to work on my tan before an evening shift at Ocean Edge and then head back down at night if there was a beach bonfire happening! One of the best parts about my J1 in Cape Cod was getting to visit amazing places that would have never have been on my radar before. Nantucket Island and Martha’s Vineyard are just a boat ride away from Hyannis Port and are both breath-taking islands to tick off the list. The flawless beauty of these islands makes it easy to see why Barrack Obama and Tommy Hilfiger choose it as their holiday spot! I was lucky to have some friends from college living in Nantucket for their J1 summer and got a chance to see the famously prestigious Nantucket Yacht Club and even go out on one of the yachts to watch the sunset. If you choose Cape Cod as your J1 destination, visiting one of these islands should definitely be on your J1 bucket list. If you want to experience the J1 city life for a while, Boston city is just an hour and a half drive away, ideal for a weekend visit. 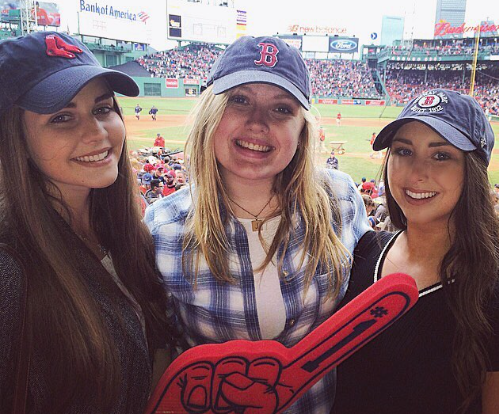 My friends and I went one weekend and even got tickets to a Red Sox game to really embrace American culture! I also highly recommend a trip to Salem to see the house where Hocus Pocus was filmed and learn all about the Salem witch trials! Nights on the Cape are really not like anything you’re used to back home. 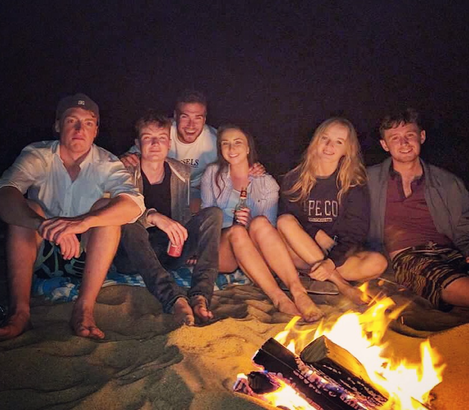 Instead of pre-drinks and nightclubs, you quickly get used to hanging out on the beach by a bonfire. Many Irish J1ers also hang out at ‘The Woodshed’ after work so you’ll never be homesick! Or if you’re looking for a more low-key evening, you can always go to the Welfleet Drive-In Movie Theatre to live your Sandy from Grease fantasy! The highlight of my J1 experience however, was hands-down my job at Ocean Edge. The tips were amazing and working by the beach meant it didn’t even feel like work. I was literally being paid to have the time of my life. I made so many friends working at the resort and my American co-workers with cars would often invite me on unforgettable Cape Cod road trips to places like Chatham and Provincetown. Even after a few weeks, my co-workers felt like family. Working in a resort that hires over 400 seasonal workers means you get to meet people from all over the world. I’ve even kept in touch with some of my co-workers and even visited them in their home countries. After a summer in Cape Cod you really do make memories and friendships for life! Fancy having an amazing summer like Jessica’s in Cape Cod? You’re in luck! We still have jobs available at Ocean Edge Resort & Golf Club on our J1 Premium Programme! It’s not too late to live the dream this summer but with less than 50 J1 places left, make sure you book soon to avoid disappointment. Click here for more information about the J1 Premium Programme.